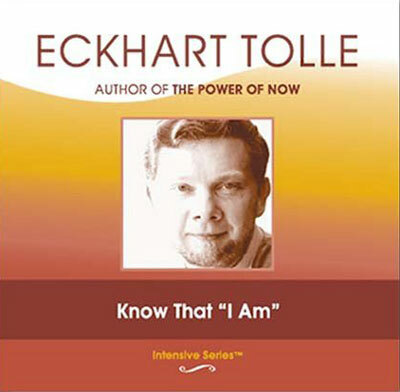 Home > Music CDs > Spoken Word > Eckhart Tolle - Know That "I Am"
Describing himself as a midwife, Eckhart assists us in the birthing process of a new state of consciousness. For those new to Eckhart's teachings this series is a perfect introduction. Those who are familiar with his teachings will hear him speak in new terms, deepening their awareness of the Now. Listen as Eckhart gives us a beautiful mantra, a continuous meditation and pointers for weaning from identification with time and thought to a realization of the truth of who you are.